Miami is one of the most beautiful areas in the entire country. That is why there are so many lovely condos built in this city. Lots of people are flocking to Miami for the sun, the beachfront property and the continuous fun that can be had. 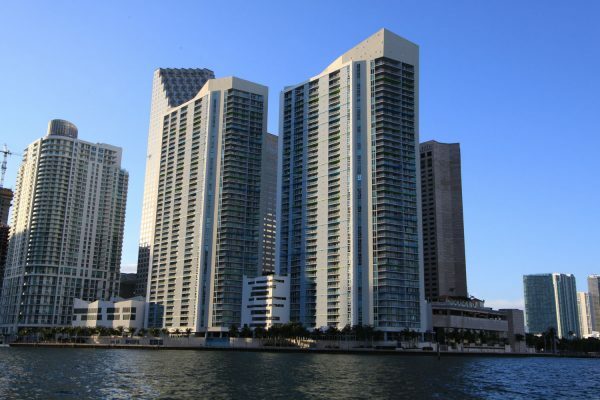 Miami condos are diverse in their building style. You can purchase one in the middle of beautiful downtown Miami. The Biscayne condos are a Miami Beach condo set seemingly from Heaven above. From your windows, you can look over the spiraling waves as surfers find their way back onto the beach, or enjoy a quiet day laying in the sun beaming into your living quarters while you read a good book. Imagine the overwhelming view overlooking Bayfront Park or the city itself from this spectacular summit giving you a great place to go outside to partake in the garden of Eden that is Florida. Another sensational downtown attraction for living are the Loft II Miami condos. They are built with a style all their own with easy access to major shopping restaurants and many of the historical and informational attractions that brought you here. Make your home inspire you with its fabulously rated smart house technology. And you will have views of the area that are soul inspiring. If you prefer a more service entailed building for your Miami condo try some of the custom built and beautiful options on South Beach. They come with vaulted ceilings in the lobby giving the impression of a castle rather than just a home, they offer unprecedented ocean and bay views from your windows, gardens for those leisurely walks with your loved ones, a 24 hour attended gate house and 24-hour security throughout the grounds. In addition, there are large conference rooms for a convenient place to do business in comfort, party and card rooms in which you can entertain business guests and covered, secured parking for them as well. There is concierge service available all day and night and even valet service that never sleeps. You will feel like a king in these breathtaking beachfront condos. 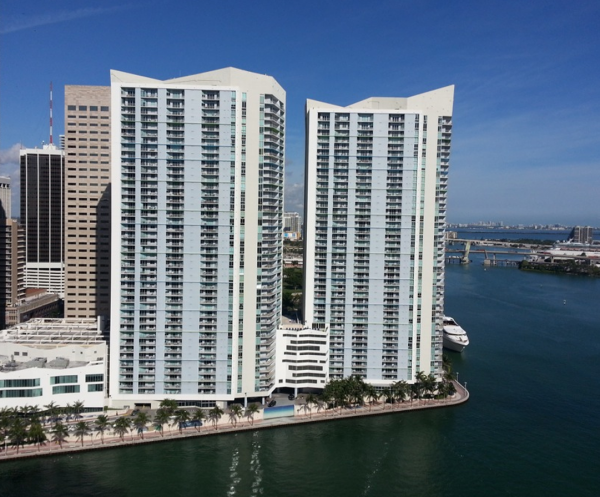 Portofino Tower is another one of the nicest condos you will find here. It is built with 29 floors for those who love to view the city from great heights. It is built with all the latest technology and the top of the line architecture for a unique look of beauty that complements the whole city. The grounds are landscaped with the most decorative foliage with every bloom possible. The swimming pools and tennis courts will keep you fit and active without having to go far. All the rooms are spacious and well lit with intriguingly designed windows to give you the views that brought you to Miami in the first place. Built in shelf space and large closets will give you plenty of areas in which to put all the things you had to have while shopping. Plenty of wall space for all your family pictures and all the state of the art appliances come with each beachfront condo. Whether you want to live on beachfront real estate or downtown in the lovely city of Miami, you will find the right condo living for you and your family. All of these lovely beachfront homes are built with your comfort in mind. You cannot go wrong with any of these or other available choices.